Amber is a natural material, whose main properties (color, shape, size, inclusions) are unique for each piece. 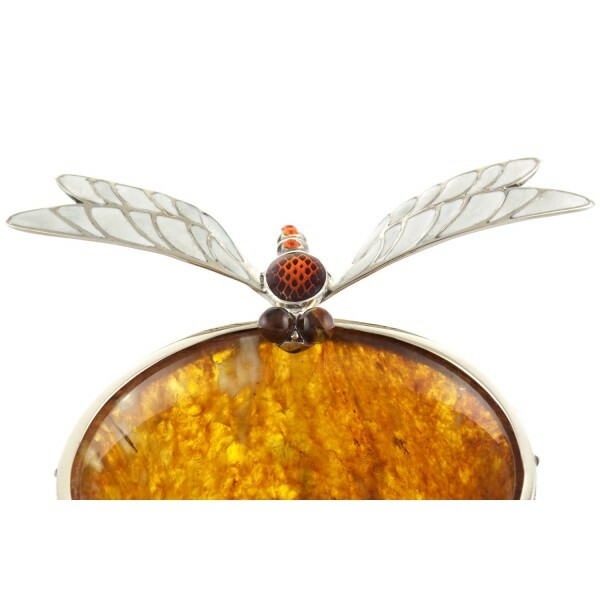 Therefore, while acquiring jewelry and decorative objects, you should be aware that amber articles may differ from the sample. 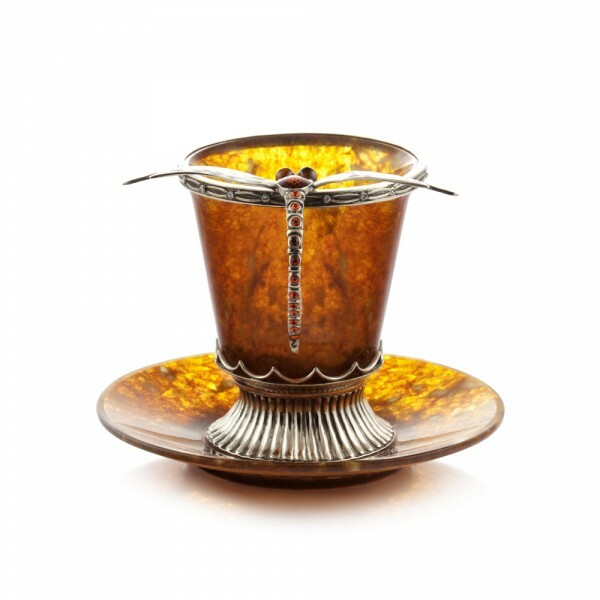 Coffee set “Dragonfly” is made of the pieces of the sun stone framed in bronze. 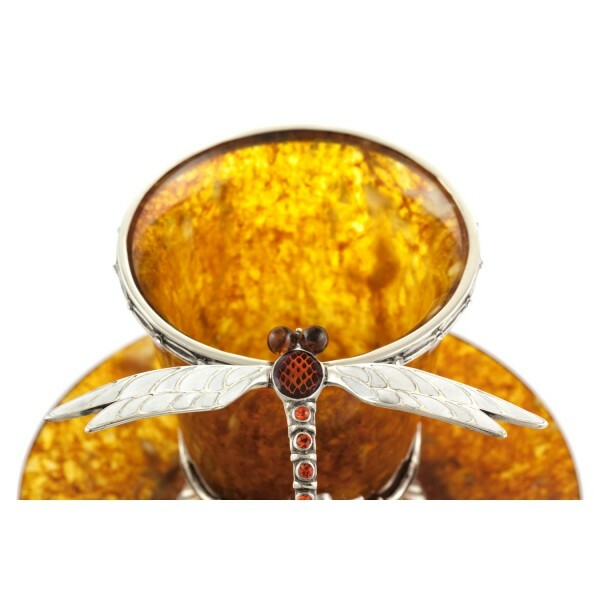 This set perfectly combines the natural beauty of amber with an exquisite author’s design – a dragonfly bending over the cup is about to fly up and disappear in the air. The craftsman used freshwater pearls, sparkling Swarovski crystals and an elaborate enamel technique. 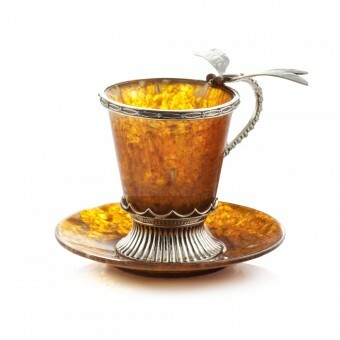 No doubt, strong aromatic coffee served in such a cup will give you an unforgettable experience.